Voters will need to registered in the country’s new biometric database if they hope to cast a ballot in October. A date for Kyrgyzstan parliamentary election has been set (October 4) and parties are gearing up for the campaign (which starts September 4). The election is much anticipated by regional observers because it should be, unlike most other regional elections, an actual race. The world will also be watching because the country plans to debut the use of a controversial biometric registration program in the election–specifically the use of fingerprints to verify identity before voting. The program is controversial due to concerns about the right to privacy of Kyrgyz citizens and the possible de facto disenfranchisement of any who refuse to submit fingerprints. 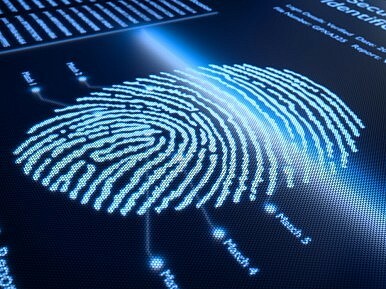 The biometric registry law was challenged in court in November, with opponents saying it was unconstitutional. The Constitutional Court judge assigned the case, however, was removed in May after a lawyer acting on behalf of the parliament’s legal affairs committee filed allegations that she had revealed her views on the case prior to making a decision. The judge was then effectively sacked. Kyrgyzstan budgeted $4.8 million to purchase equipment for collecting biometric data and Japan gave the country a $6 million aid package which included 3,000 laptops and 3,000 fingerprint scanners, among other IT equipment. Switzerland, which from 2015 to 2017 says it will have donated over $2.4 million to support elections in Kyrgyzstan, gave an additional $619,259 for training 9,000 operators on automated balloting machines and biometric voter identification equipment. The use of biometric technology in elections is relatively new. Nigeria, which first began developing a biometric registration system to eliminate doubles in the voter rolls in 2011, used the system during 2015’s presidential vote. The election was delayed by six week to allow for distribution of identity cards and then extended by a day due to technical hiccups. The comparison is in no way equal–Nigeria’s population (173.6 million) is more than thirty times that of Kyrgyzstan (5.72 million)–but technical glitches have the potential to throw election results into doubt. Fingerprints, the right to vote, a Supreme Court scandal and a brewing constitutional crisis. Kyrgyzstan: Omurbek Babanov’s Canceled ReturnKyrgyzstan's Controversial Constitutional ReferendumKyrgyz Government Coalition Breaks Over Constitutional ReferendumKyrgyzstan's Self-Defeating Conflict With Moderate IslamWhich Parties Joined the Kyrgyz Majority Coalition?